I used gold acrylic paint on the bottoms of some of the acorns, and glue and gold glass glitter on the tops of some of the acorns. 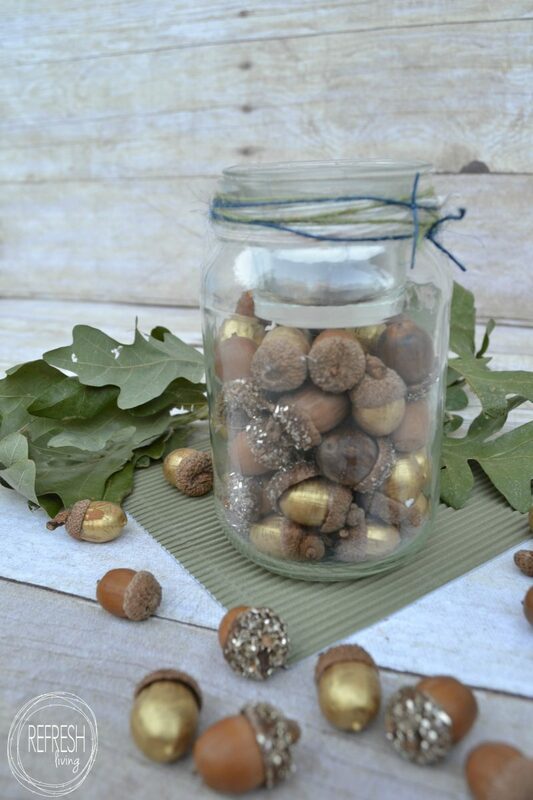 I actually think I’m going to bring my girls acorn hunting again, so we can make some glittered bottoms and painted tops to throw in the mix. I think these would be adorable scattered on a table centerpiece, or placed in glass jars. I added a smaller votive holder to the top of one of my jars that the candle can sit in, but you could also just stick a candle right in the acorns. 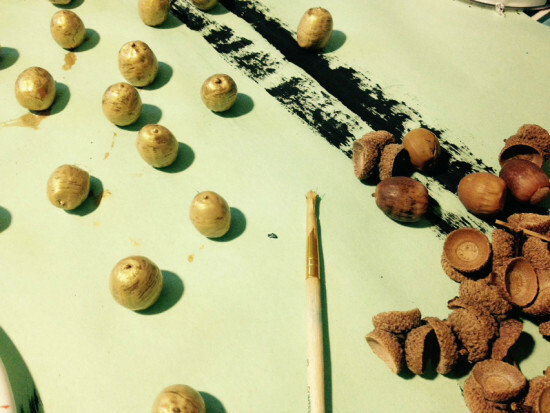 While I was painting these little guys, inspiration struck for my Thanksgiving table setting. I actually don’t even know if I’m hosting anyone this year, nor have I ever decorated my table for a holiday, but I’m all about pushing myself this year. 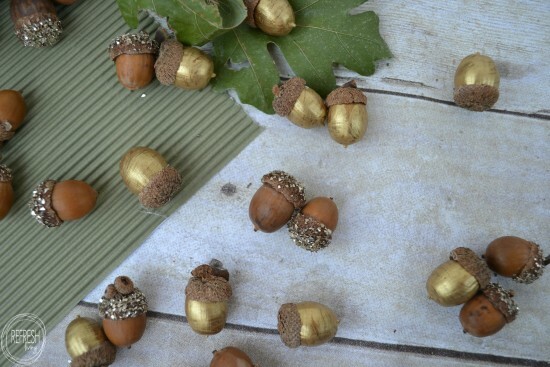 Stay tuned for my vintage nature-inspired Thanksgiving centerpiece and table setting! 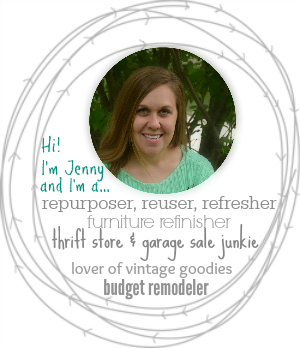 But for now, click on the icon below and check out my other upcycled DIY Fall Decor projects! Thanks, Shonee! 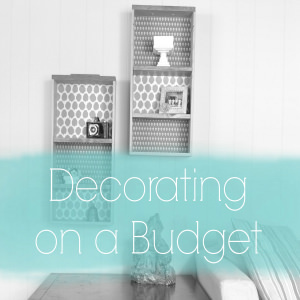 I especially love an easy, cheap project, and these are it! 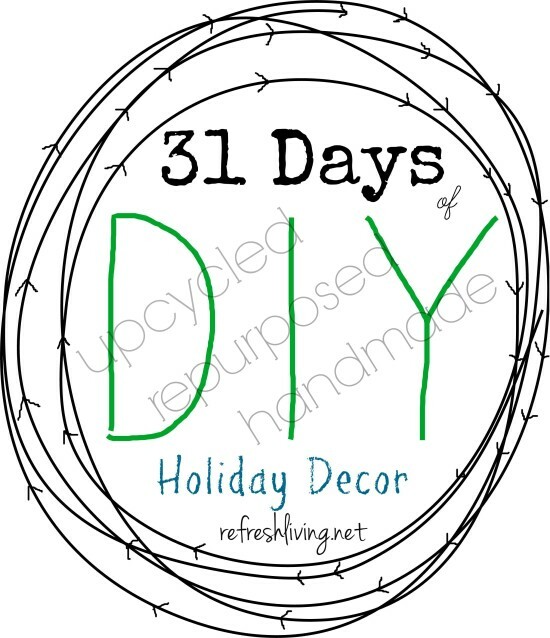 I love using things from nature to make beautiful new decor! 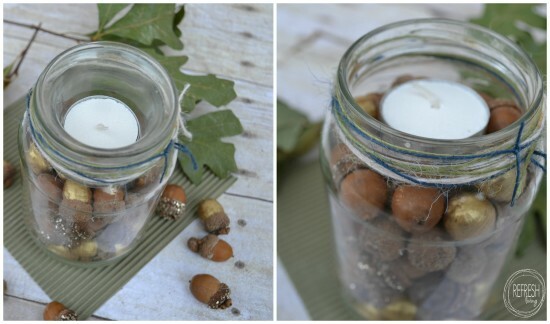 Your acorns look pretty =) Thank you for linking up with us on Welcome Home Wednesday. Please come party again with us next week! Good Morning Jenny!! 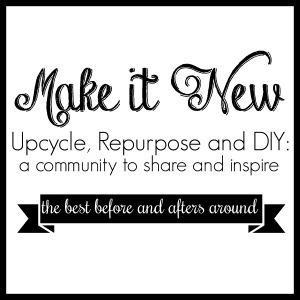 Just popping in to let you know your post has been picked as a feature at the Welcome Home Wednesday Link Party! Stop by this morning to see your feature and link up! Don’t forget to grab your “Featured Button” too!